If you’ve ever had to clean up after a dog before, you know it’s best to double bag! It’s no different with our own waste: make sure there’s two between you and the poo. 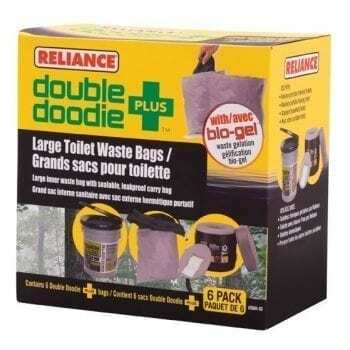 These bags are great for packing out your waste when camping, hiking, boating, RV-ing, or emergency preparedness. The thick second bag is more resistant to punctures than the flexible inner lining, which makes it easy to avoid any unpleasant accidents after they’ve been used. 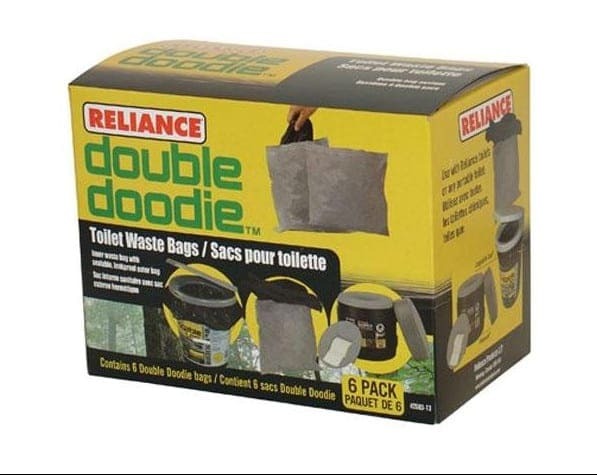 If you’re looking for a larger option, why not look into the Double Doodie PLUS?